Snow dyeing is a very fun process. A friend and I decided to play with snow dyeing, while there was still some snow. We are having a very mild winter! When you snow dye, you put your soda ash soaked fabric (wrung out) on a grate in a pan. We scrunched up our fabrics to get maximum mottling. The next step is to add a pile of snow on top, covering the fabric. Sprinkle dye powder over the top of the snow, and wait. Once the snow has all melted, usually overnight, you can rinse the pieces of the excess dye and see what patterns and colours will be revealed. This one was twisted up and put in the bottom of the pan, under the grate. So it was dyed by the snow melting and the dye going into the bottom of the pan. Wonderful! 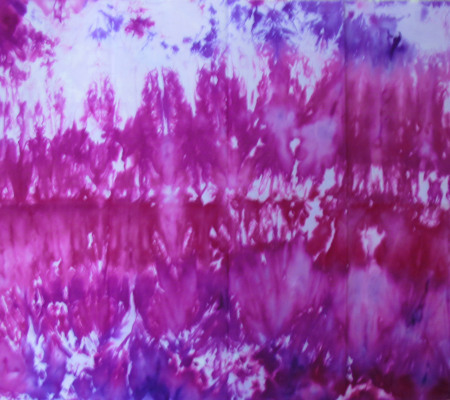 On this piece, I used a combination of Raspberry and Grape dyes and not a lot of snow. These two pieces were from the same batch. I layered the pieces and instead of dye powder used dye solution on the snow. I used red, yellow and green dyes Resulting in a lovely peachy colour. 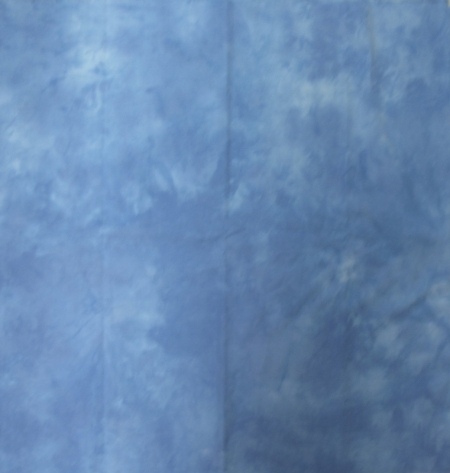 This piece of fabric turned out to be a cotton/polyester blend. It created a delicate heathery texture to the colour, as the polyester fibres in the fabric didn’t take the dye. 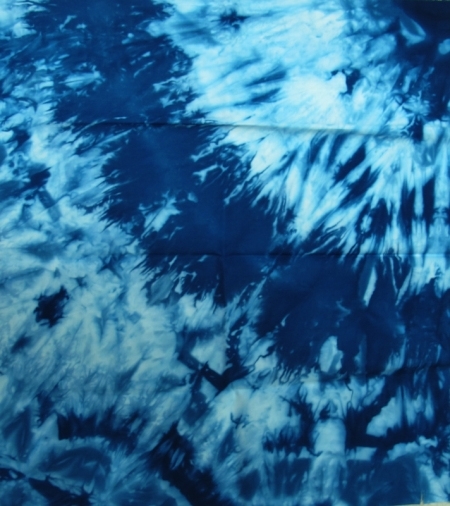 This blue got a few dark marks as it was left to get too dry and the dye concentrated at the top of the folds. There is Interesting texture though. 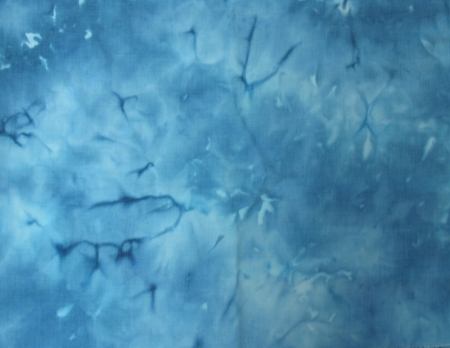 Have you tried snow dyeing? What results did you get? 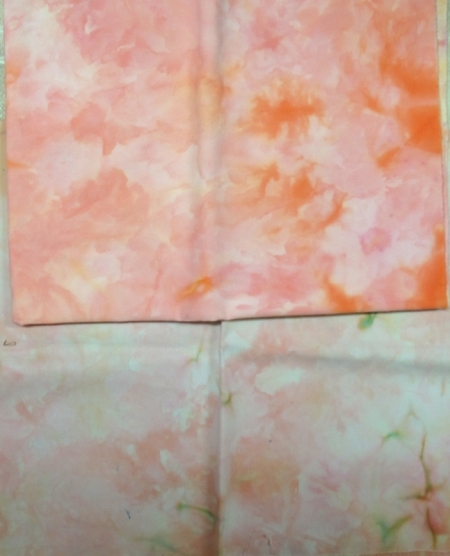 This entry was posted in Dyeing/painting fabric and tagged dyeing, snow dyeing on March 14, 2016 by Valerie Wilson.